If you have found yourself in need of welding services, you may have heard of mobile welding. Mobile welding is gaining more popularity for several reasons. It has several advantages to traditional welding services like efficiency, quick service and more. Bowtie Tony’s Welding is here to talk about some of the major benefits that you can experience when you choose mobile welding as opposed to traditional welding services. 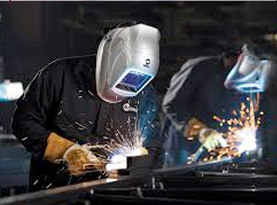 Originally, even though the words “mobile welding” make you think that it is a welding service on the go, welders had to have a fixed location to complete the services. Today, there so much more that the welding world has to offer including laser welding, gas welding and electric welding, just to name a few. These services can now be performed anywhere which makes them much more efficient and opens the world of possibilities to customers. Much of the time, businesses are trying to meet tight deadlines. With mobile welding, these jobs are able to be completed in a timely manner that allows businesses to meet those deadlines much easier. Now more than ever, last minute welding services are a possibility. In the past, the thought of getting your equipment to the nearest welder was a big job. Now, with mobile welding services, the welding services come to you. You don’t have to worry about how you will get your equipment anywhere. This saves you in transporting costs as well as time involved. No one wants to have welding services performed, only to find that in the end, there were several hidden costs they weren’t anticipating. No longer do you have to worry about hidden costs involved in the process. With mobile welders, you get a quote there on the spot and that is all you have to worry about paying. The process is not only easier, but cost effective as well. 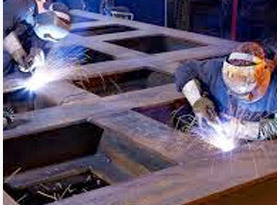 Reputable welding companies train their welders in all aspects of the field. Mobile welding technicians are trained to offer versatile services. 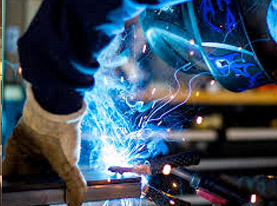 With state of the art welding technology as well as this training, mobile welders are able to offer customers welding services that are tailored to their specific needs. Customers used to find they had to wait weeks before they could get the welding services that they needed performed. Now, with mobile welding services, customers can count on fast, reliable service, every time. You know that when the technicians show up, they are there to complete the task at hand and don’t have their attention divided between several customers at one time. If you are looking for a reliable, reputable mobile welding company, look no further. Bowtie Tony’s Welding offers quick response to your welding needs and only the highest quality welding services. 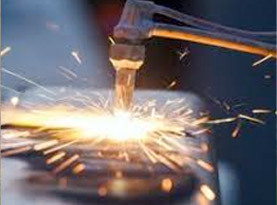 Our highly trained staff are able to work around your schedule to complete your welding needs quickly and efficiently. Call us today!